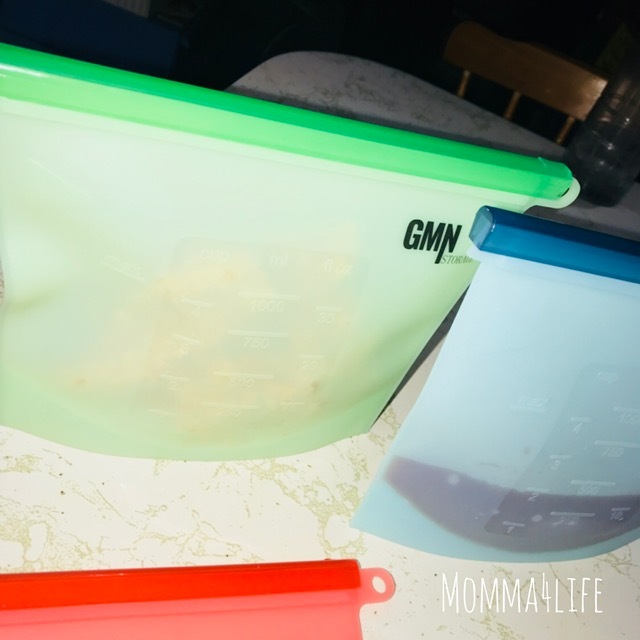 I am so excited to tell you about these GMN storage reusable silicone bags. These bags come in a set of four and are really nice for food storage. 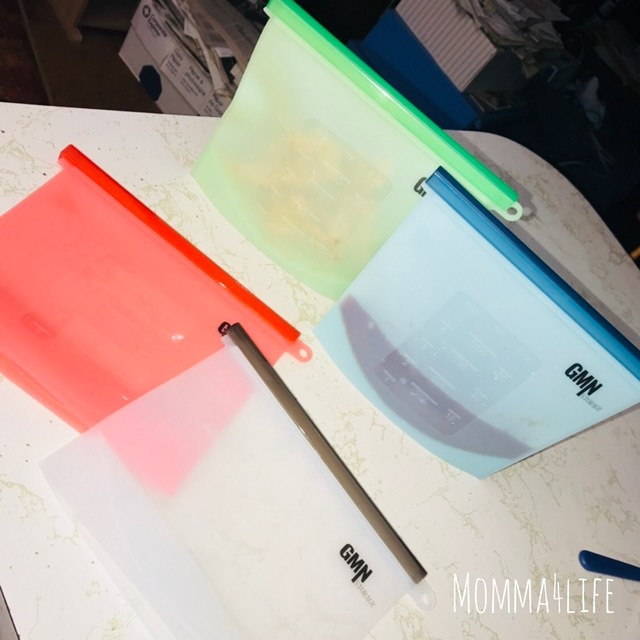 They come in a variety of colors such as red, clear, blue, green, they are also see-through so you're able to see what you have stored in these bags. 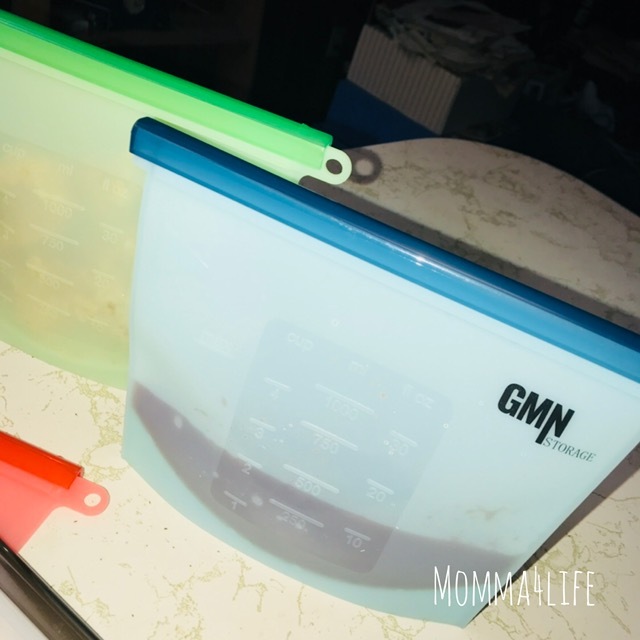 GMN storage bags are very easy to wash and easy to dry as well. These bags are eco-friendly, quality guaranteed, non-toxic silicone, washable, and they are even microwave, freezer safe. You even you can boil them. These are great for different types of food such as soup, different types of leftovers, and so much more. I am really happy with these bags knowing that I can store food and leftovers in these bags instead of using Ziploc bags over and over and basically recycling. 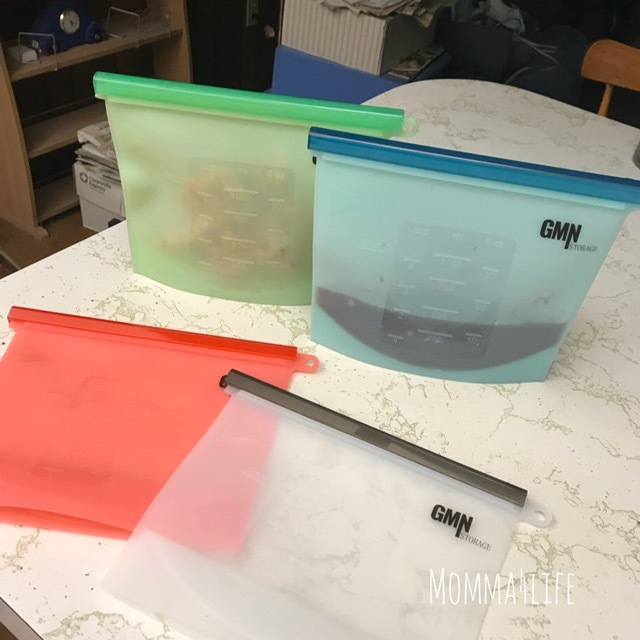 If you are someone who likes to recycle and not use Ziploc bags or anything else these silicone GMN storage reusable bags are perfect. Each of these pouches holds 34 ounces which equals to 1000 ml total.